Did you know that pesticides are toxic to your brain and that children are more susceptible to neurotoxin exposure? As toxins, they can cause a variety of behavioural and cognitive problems. Read this week’s blog to find out how and what you can do about it. How do you know which aisle to shop in the produce section of your local grocery store? How do you decide if paying a little extra for something labelled “organic” is actually worth it? This week, I delve into the word of organic vs conventional food, and let you know why organic wins out in my book. Progressively more and more people are becoming aware of the connection between food and their personal health. 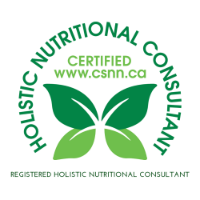 Perhaps you’re like one of my many clients who has decided to take ownership about optimizing their health now. Indeed, if my practice is any indication, becoming health conscious is no longer the exclusive domain of new or expecting mothers—nor is it the forté of those looking to overcome an ailment, disease or a condition like I was. Increasingly, individuals who are looking for a business edge or students looking to increase their cognitive performance are also realizing, like many athletes have, that what you chose to chomp on has a direct impact on your ability to perform—be it in the boardroom or the classroom. Are you looking to restore cognitive function after sustaining a brain injury? Are you a professional who’d benefit from a better memory or improved productivity? 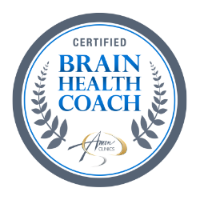 Would you like to be rid of brain fog or neuro-fatigue? Are you interested in maintaining or improving cognitive function as you age? Would you like to protect your most valuable asset and learn what you can do to prevent Alzheimer’s disease? Read this week’s blog post to find out how. You’ll also discover what neuronutrition is, what nutrients can fuel the brain, what can devastate it, and who can benefit from neuronutrition. You’ll also find out how you can use neuronutrition to prevent cognitive decline associated with aging, or improve mental focus, cognition, and productivity. Whatever your motivation, feeding your brain can nourish your mind. I’ve also attached links to some easy new recipes for you to enjoy that can help get your brain in optimal working order. I have an exciting new program in the works for anyone who is looking to improve cognitive performance, prevent Alzheimer’s, or wants to learn more about nutrition for the brain!